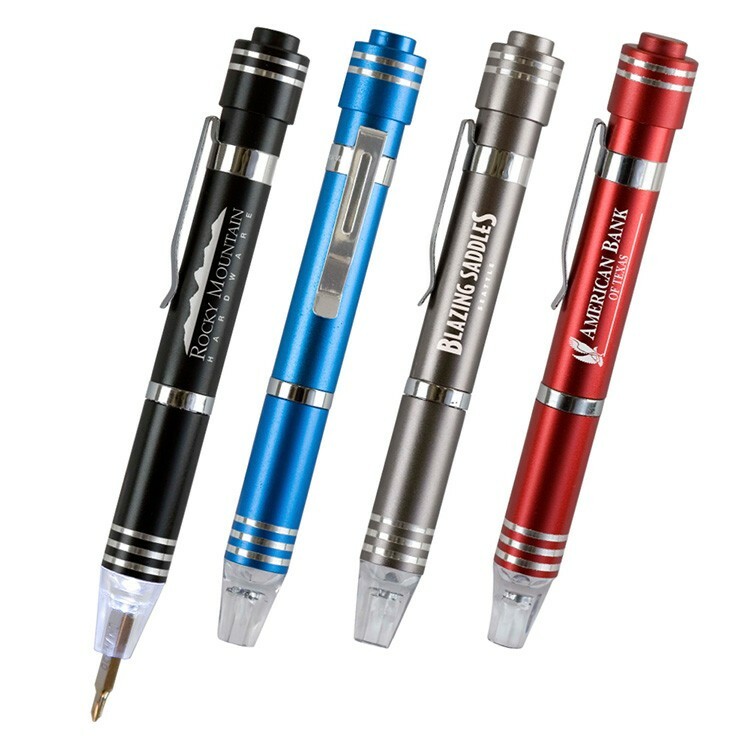 This screw driver has 6 interchangeable bits that magnetically snap into the center of an LED flashlight. The tips store inside the screwdriver when not in use. Laser engrave on the colorful barrel for a permanent impression. Cell battery included.